I wasn’t necessarily a big Lion King fan growing up as a child, but perhaps because I realized even then that it is a devastating movie. But while it’s easy to momentarily forget that looking back on the cartoon version, where even the evil hyenas are comic characters, the new live action movie is going full drama. 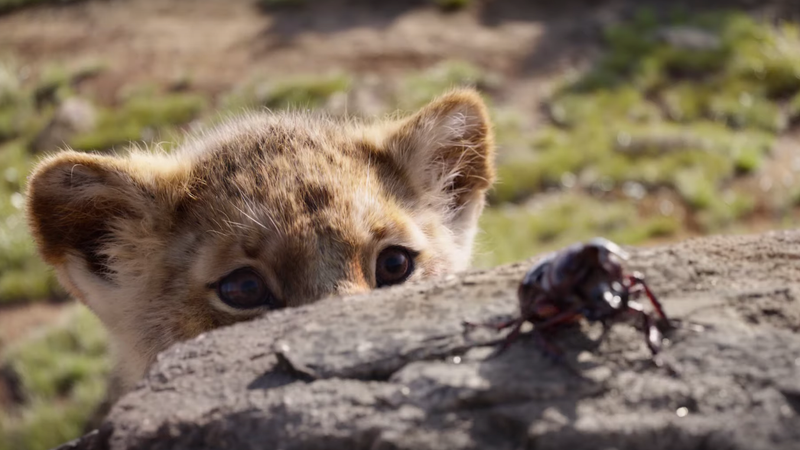 Seriously, this is prestige Lion King, and my body is already preparing itself to drain its water content in tears. The new trailer dropped today and even though I haven’t cared a single second about the remake (leave classic movies alone!) I’m now suddenly on board? The hyper-realistic animation tricks my small blogger brain into thinking these are real animals. And if my small blogger brain thinks that, then what to say of the even smaller child brains waltzing into the theater on opening night? I fear for them as I fear for myself. Do they even know what’s coming? Important to note that there isn’t a lick of Beyoncé dialogue or singing in this trailer because Disney is smart and knows how a paywall works. Get ready to cry watching The Lion King, again!